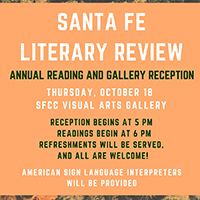 Join us for this beloved annual event, which features the contributors of this year’s Santa Fe Literary Review (SFLR). All are welcome, and refreshments will be served. Sign-language interpreters will be provided. 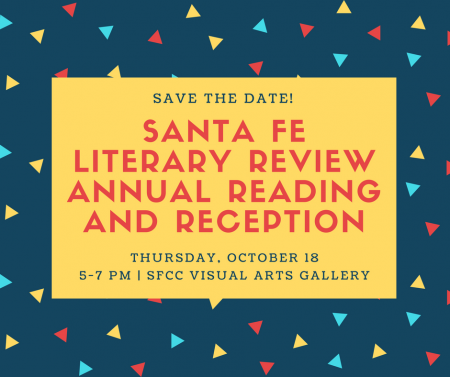 Don’t miss this chance to mingle with the editors, rub shoulders with writers and artists from around New Mexico, and enjoy singular writing and visual art.